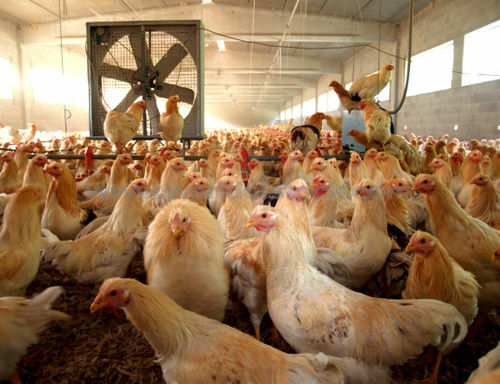 Small or part-time poultry farming may seem like an easy way to get rich quick but, as with most things that seem easy, it is quite the opposite. To begin with, big time farmers in all the agricultural categories only make about $62,000 a year on average. This is hardly a six figure salary and is a gross not net figure. Though your start up costs may be relatively small, the amount of time you put in as the farmer or owner is quite significant. Get to know everything you possible can about chickens. All the breeds, who are the best layers, who are the best meat birds, which are the best dual purpose birds. Be informed about your decision before you decide to leap off the financial cliff without a safety net. Interested in going into meat birds? Then naturally you know that you want a good Cornish X. Layers? Then you obviously know you want Rhode Island Reds or Leghorns. The last thing you want to do is start out with sickly chickens, so make sure you’ve researched your suppliers and pick the one closest to you with the best history. This goes not just for birds but for food and equipment. Budget, budget, budget. If you don’t know what to expect or what to plan for then you’ll simply be swept away by things. Raising chickens is not a huge expense as their needs are quite simple, but you need to prepare for equipment failures and feed, etc. The best eggs and happiest birds are free range or pastured. Not to mention that free-range eggs sell for a higher price but have less effort put into them. Finding a good location with a large pasture is ideal. Look into the Petaluma Project for more free-range information. Gather supplies incl. feeding and watering equipment, processing machinery, waste disposal equipment, disease and pest control equipment, and incubating equipment. Once you have those things sorted, you need to consider how to go about doing what you intend to do. My grandparents had a small chicken business back in the 1950’s when things were a bit simpler. I have been raised to believe that the best business is the laying business which you supplement when the chickens go into a molt by selling the whole lot off as fryers and getting new hens in. Though laying tends to be more profitable, small flock business will not make you rich. It is a slow business with a fair amount of work, all day activity, but little upfront cost, which is good as it makes taking care of financing and regulations a bit easier. Though start up is certainly not overwhelmingly expensive, you will likely need some financing from a financial institution. The largest expense is often the land, but you also need to consider construction expenses if you need to build a large chicken barn or shed for them to roost in at night, cost of feed for hundreds of chickens, and emergency expenses. If you don’t make your farm regulation compliant, then expect to see a representative from the USDA stopping by. Commercial poultry farms must be regulation compliant both for the health and safety of their animals and the health and safety of those who will eat their products. It seems odd doesn’t it that you have to provide your chickens with vet care? But in order to keep them healthy and happy, you will need someone schooled in livestock that can come by and make sure that everyone is healthy in order to avoid diseases that can wipe out your entire flock and have you starting from scratch.